In 1-quart saucepan, heat cream cheese and salsa over low heat about 5 minutes, stirring occasionally, until cream cheese is melted. Keep warm in heatproof dish. Serve with chips. Vary the amount of "heat" in this dip by purchasing mild, medium or hot salsa or picante sauce. This dip is easy to microwave. Place cream cheese and salsa in 1-quart microwavable casserole. Microwave uncovered on High 3 to 5 minutes, stirring every minute, until cheese is melted. Make this appetizer colorful for the holidays. 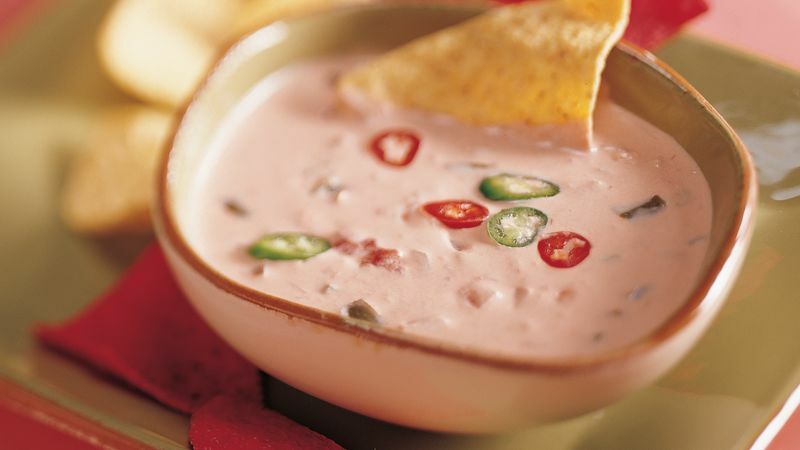 Surround the dip with red and green tortilla chips.